Highbrow is the Headmaster no one really talks about. 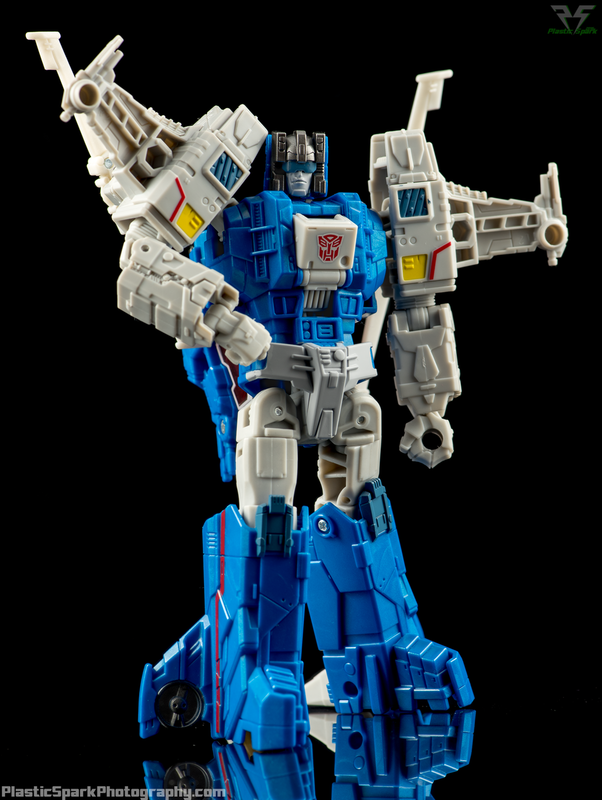 Unlike his three Autobot Headmaster friends who have all snagged pretty prominent roles in modern comic books he seems to always be shoved to the back of the shelf. It's unfortunate as I think his twin prop helicopter fighter mode is pretty cool and I was really looking forward to this release. His vehicle mode is impressive looking and tabs together tightly and has great proportions from the mid section forward, however the rear end is very chunky and could have used a bit more engineering. The rotors are made of a flexible material and unfortunately due to how he is packaged they tend to come out of the package with a bit of a droop. Bot mode looks fantastic but again a little more engineering would have been nice. 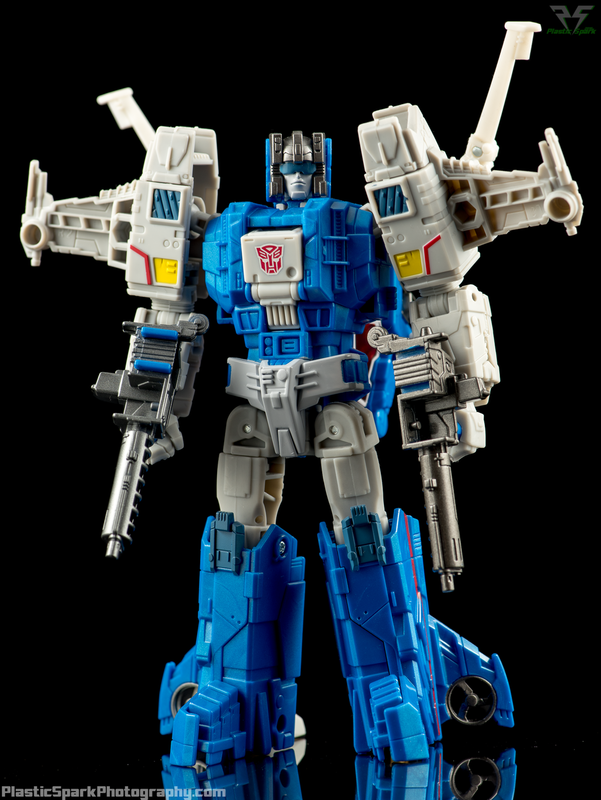 The ability to fold back his shoulder wings or lock in the rotors would have been a great addition. His proportions are great and he's covered in little sculpted and painted details that all look incredible. The head port is a bit loose. Much like Skullcruncher's hips, this seems to be a widespread issue. Unfortunately it's on the body side of the port so there's not a lot that can be done easily. I have seen some people using small acetate sheets to tighten up the port but I haven't had a chance to give that a try myself. A run of the mill deluxe worth picking up to complete the original Headmasters line up but nothing to really write home about. Perfectly satisfactory, which is not at all a bad thing. I absolutely love the Titans Return line so far but after starting with Brainstorm I think it's gotten harder to impress me.